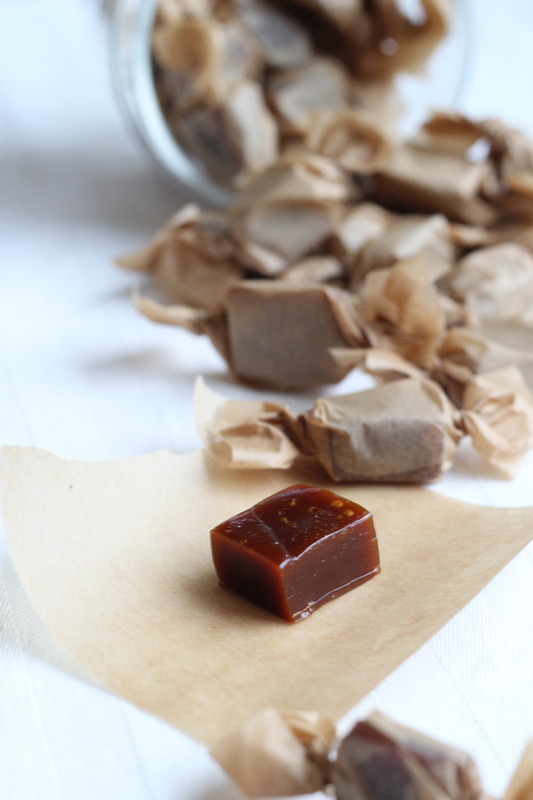 This is my base recipe, you can add and subtract spices and the cacao powder to suit the flavours you prefer and want to create for your toffee/caramel. 1. Melt vegan margarine in a pot with a thick base on the stove. 2. Remove the pan from the heat. 3. Add saffron and the juice from the satsuma to the melted margarine and whisk together, ensure that there are no lumps and the spice is evenly mixed with the liquid. 4. Add oat-cream and whisk together. 5. Add the syrup and whisk together. 7. Let the ingredients melt together, bring the mixture up to a boil. 8. Lower the heat and let the mixture cook gently, it should start to bubble, reduce the heat if necessary. 9. Stir regularly and pay attention. Once the bubbles become bigger and form much slower, test the mixture as instructed in step 10. 10. Every now and then test the mixture with the help of a glass with cold water. Add a dollop of the mixture to the glass and if you can shape the mixture and the mixture holds to the shape you created, the toffee is ready - or let cook until the liquid reaches 120 C / 248 F.
11. Repeat the test until you get a result you can shape or a consistency you are happy with. 12. Once ready, remove the pot from the heat and immediately pour the mixture into a tray covered with a baking-paper and let cool down. 13. 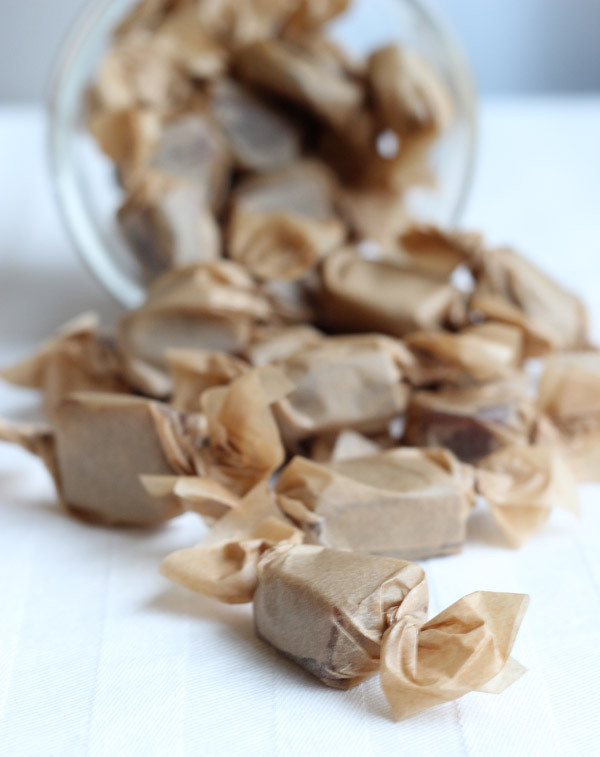 Once the toffee has hardened and cooled down, cut equally big pieces and wrap them in pieces of baking paper. 14. Store in a cool, dry and dark place. You can also use white/brown or other types of sugar, however you wont get the same rich taste if you use other types of sugars in this recipe.